Email marketing is like an art. If you don’t do it right it will be a mess and it might even look ‘spammy’ and harm your business. 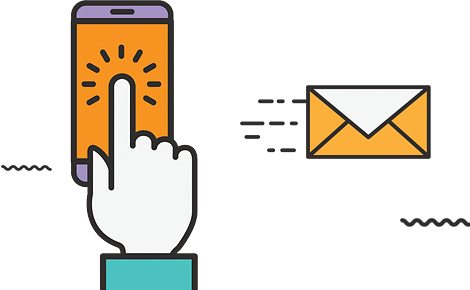 We will help you to market your Products and Services with the use of the best email channels to maximise chances for making a profit and reaching your ultimate business goals. From Marketing Strategy to Email Design and Delivery. Think about email marketing as about your business plan. You need a great strategy to reach your business goals. Sending campaigns without knowing how people reacted to it is simply wasting your time and more. Tracking & Reporting is a must! There isn't successful email campaign without a beautiful email design, let us help you with yours. Email Campaigns are an important part of inbound marketing. We will create series of emails to communicate with current and potentials customers. Don't hesitate to contact us today to discuss your specific requirements.